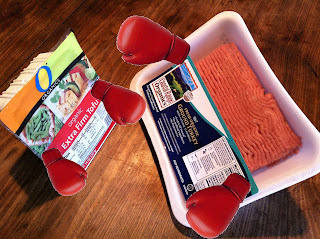 In the left hand corner of tonight's fight we have extra firm tofu weighing in at 14 ounces wearing multicolor packaging and in the right hand corner we have organic ground turkey weighing in at 1 pound in navy packaging... let's get ready to rumble!! 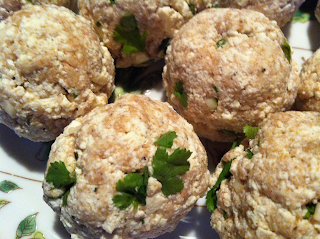 It was a dinner match like I've never seen, one meaty ball going head to head with one vegetarian soy based ball, who would be the winner....both of course : ) The meatball matchup came after Wren weighed in asking for meatballs for dinner and I in my continued mission to reduce our meat consumption thought I would do both types of balls and see how they compared. 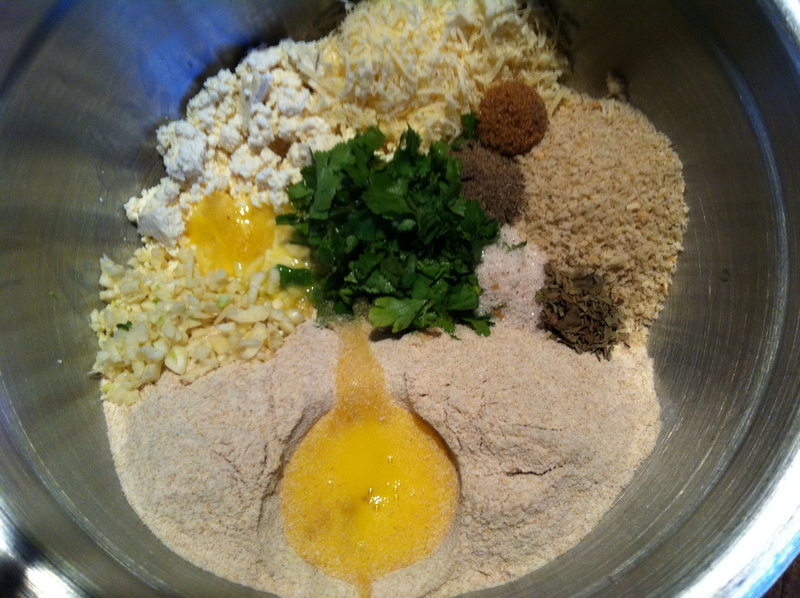 Combine all ingredients in a large bowl and knead the mixture for 2 minutes or until the mixture holds together. 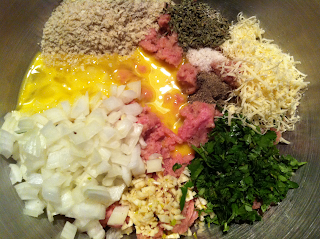 Shape the the mixture into 2 inch balls, pan fry in olive oil until golden all over. The recipe in the book also had several ingredients for a tomato sauce but since I made my own I left them out, you can make a marinara sauce or used a jarred one. The turkey meatball recipe was something that I just threw together but it was very similar to the tofu version. Combine all ingredients in a large bowl and knead the mixture until the mixture is thoroughly combined. 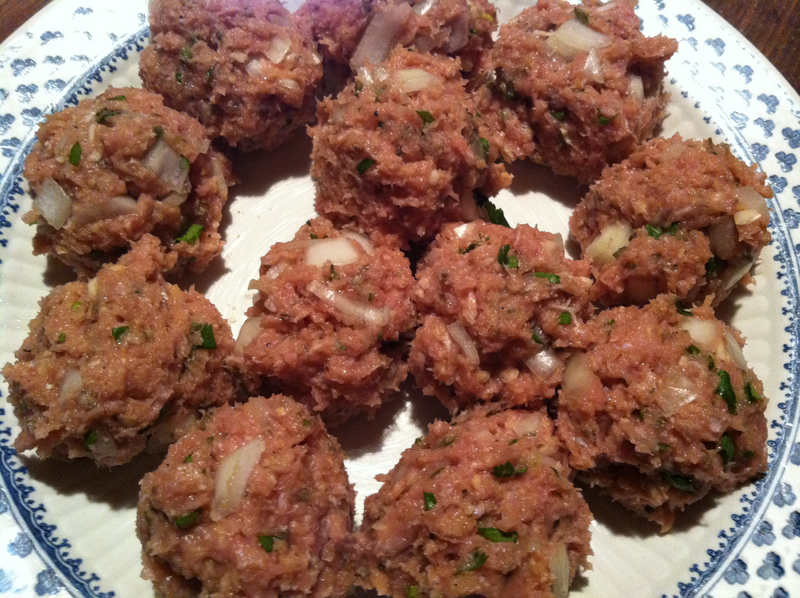 Shape the the mixture into 2 inch balls (if your meat mixture is too sticky, place it in the fridge for a few minutes), pan fry in olive oil until golden all over, place lid on pan and continue to cook about 3 minutes to ensure the meatballs are cooked all of the way through. Both of these meatballs turned out really good and would please any crowd, can you tell which one this is? 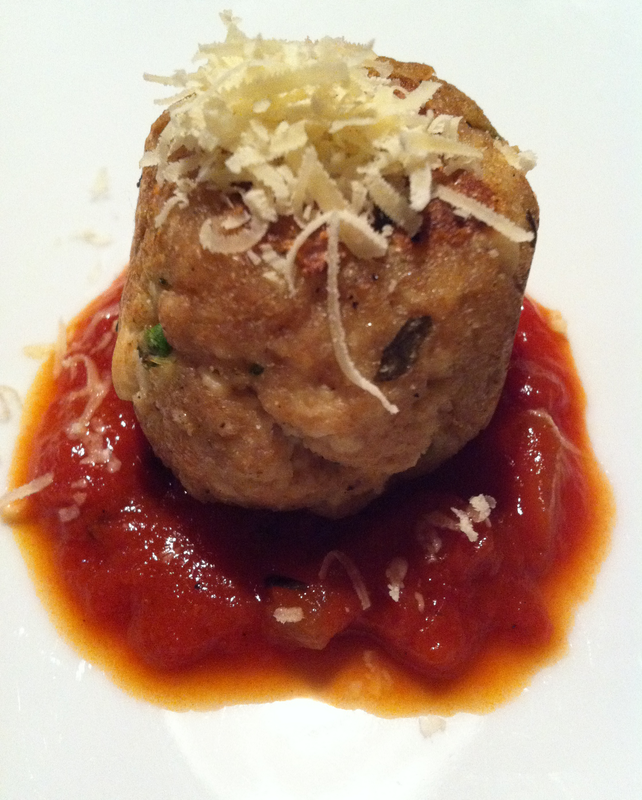 I placed the meatballs in marinara sauce and served them in a warm roll topped with mozzarella cheese but they would be equally delicious over pasta or a bed of greens. 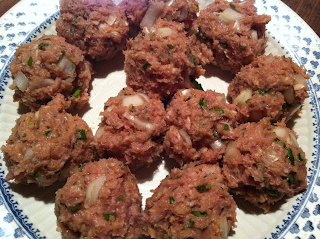 These meatballs put up a good fight but they were no match for my stomach, nom nom nom.